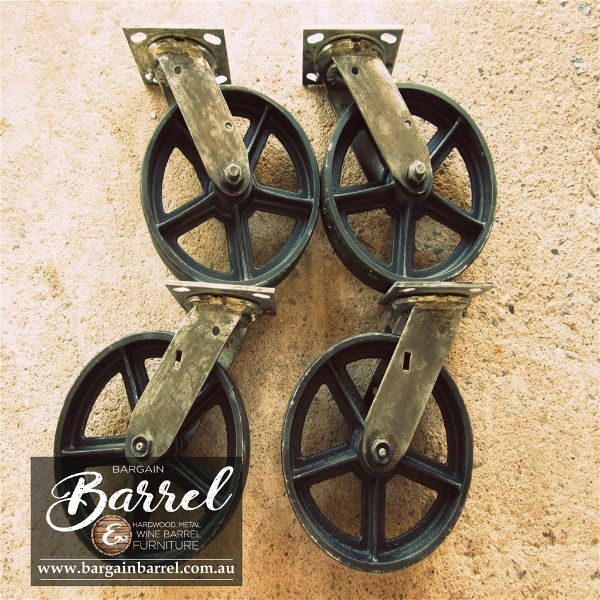 Our signature Antique Trolley Wheels come in a set of 4, extremely hard to acquire in this condition. Made from quality metal to the finest detail representing age and style. Quality, solid and usable for any little project. Perfect at a very affordable price with an abundance of character.